consists of senior consultants and designers with experience from a wide range of industries. Want to know more about us? We are always open to new ideas, so don’t hesitate to contact us. is all about making it happen. In our world strategy always comes first, building experiences that engage people next, and finally, consistent execution across touchpoints. That’s the key to creating impact that truly makes a difference. In our world strategy comes first. We see any branding, communication or design exercise as a vehicle for a strategic move. To be good for business whatever you do as a brand must appeal to both hearts and minds. We anchor all projects in asking for the purpose and strategic vision for the client. If it is not clear, we help phrase it and make it work emotionally as well as rationally. Dive into our methods, and see the outcome below. run the country’s hospitals and are currently spending billions on modernising them. STEREO’s task was to create the platform for why the investment is done and what the benefits are. 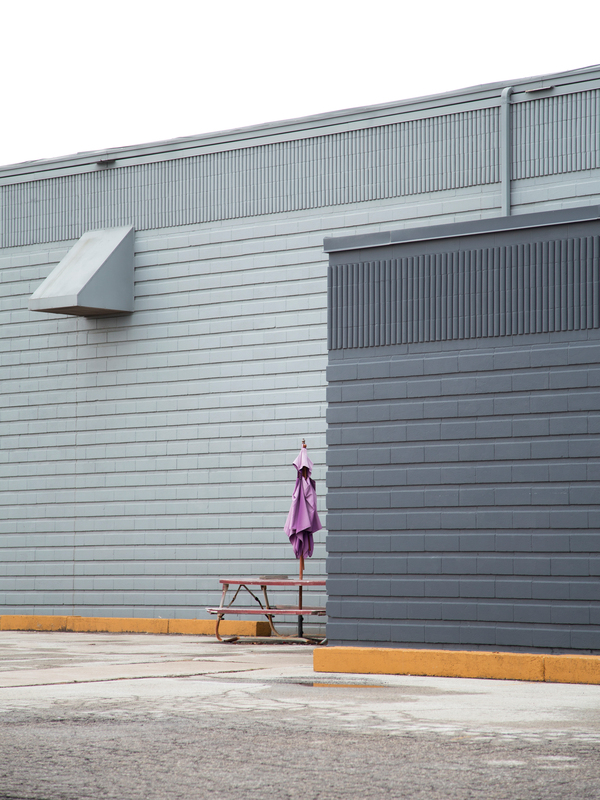 Our solution was a nationwide campaign, showing construction from a human point-of-view. by letting patients, relatives, doctors and nurses tell their story – what do they see as the main outcome and benefit? We are building today, for all our tomorrows. For our children and our children’s children. The new hospitals are taking into account projections on both demographics and infrastructure. Technology is becoming miniaturised and intelligent. People live longer and closer together. Centralisation is a must and care has to become more efficient. This is no quick-fix, it’s a longterm change based on a longterm strategy. , videos from five new hospitals, infographics and a new website collecting all the relevant information. 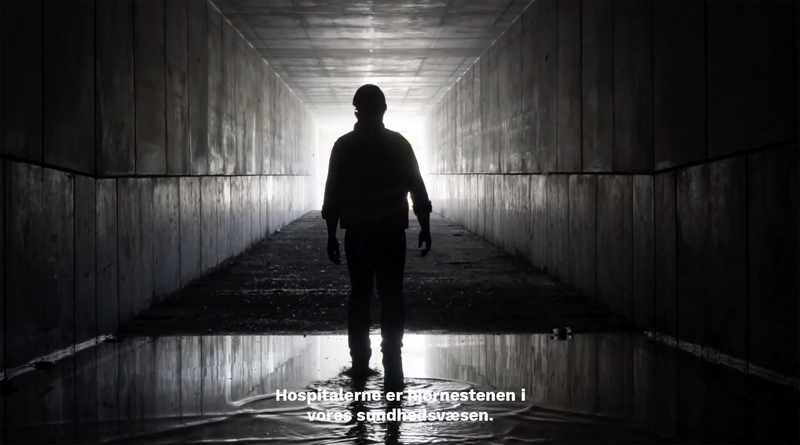 Photography by Tuala Hjarnø and videos by Kadaver. 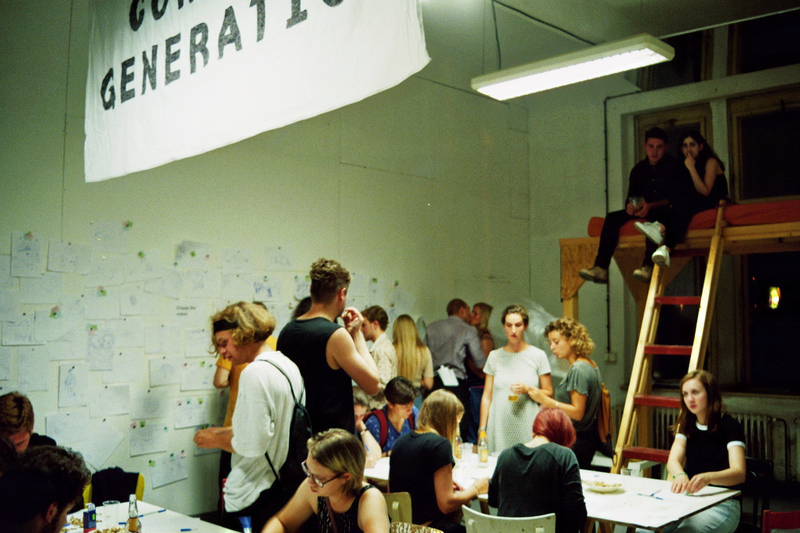 in Denmark left their historic premises and moved to new offices, it was a symbolic change. They are now a lean, digital organisation focussing on infrastructure and B2B. 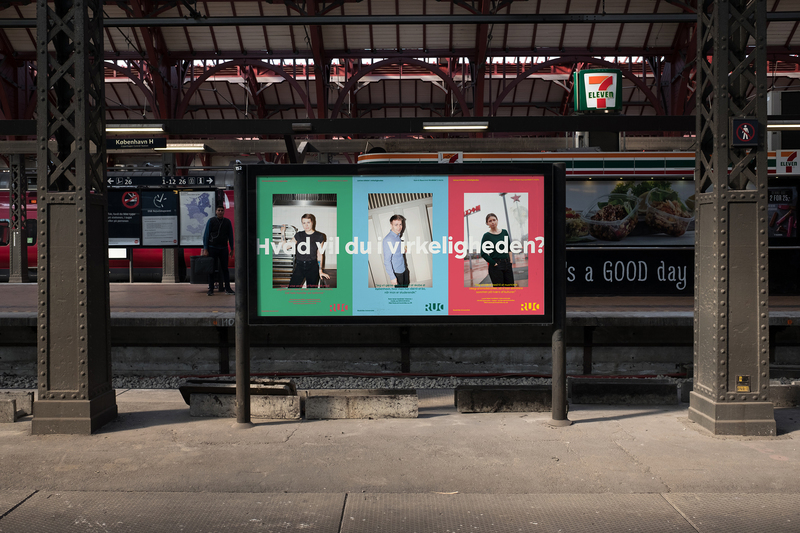 To help them feel at home in their new, connected environment, STEREO created an employer branding campaign that portrayed the everyday heroes of Postnord. is given a series of faces, it becomes much easier to understand what individual employees are contributing. Clients too, will be introduced in this more casual way, to show explain that the new meaning of delivering is interconnected with the world of business in so many ways. using Processing, to show how the company utilises contemporary technologies. In the internet-of-things of the near future, their extensive infrastructure and consumer data will be their most valuable assets. is dependent on extremely skilled staff to run and develop their projects for the world’s pharma majors. SAI have worked with STEREO to redefine the communication towards the employees – and also to create a manual that translates the corporate values into concrete day-to-day actions. The challenge was to accommodate both the senior pharmacologists and factory staff with the same basic principles. SAI works with discovery and testing of active substances in our future medicines. They rely on their factories delivering around the clock and their research centres functioning like clockwork. To do that employees must understand what it means to work at SAI and what the SAI way of working is. It’s a modern company that relies on flatter hierarchies than their competitors. of the company, its employees and the society around it’s many locations. are fulfilling their own potential, and helping to move the company in the right direction, it suddenly became easier for everyone to understand that we are all working as a team. and quotes covering the walls of the new head office in Hyderabad. The idea was also to extend the campaign to their intranet. We are currently working with SAI to implement change communication in signage and print form throughout the company. Engaging people in experiences is key to getting people on board your thinking. Design is an amazing tool to build experiences and engage people in your agenda. To do this we create strong visual identities that are fueled by strategy, verbalised in communication and activated in experiences. Step into one of the universes we have built below. 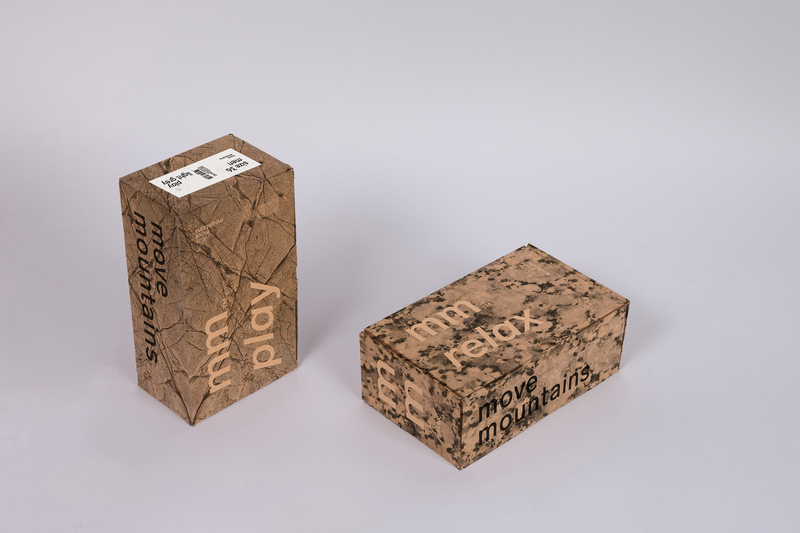 Move Mountains is a new brand that has become popular among Scandinavian retailers. To capitalise on the popularity, they were in need of updating their design to be bolder and more appealing in the eyes of retailers. to suit everyone – the new brand is built on accessibility and durability. The simplicity and charm of outdoor life coupled with a spartan design inspired by Scandinavian tradition is the core of Move Mountains. , materials and products – something that was key for the client. STEREO developed a brand strategy for Move Mountains, that resulted in a new visual identity. The concept included product branding, packaging guidelines, a naming system and digital ideas for websites and social media. have developed a more experience-based approach. Today, people are not only consumers when they are drinking. They are active on platforms that are more social and interactive than before, and base their decision on things other than just packaging trends. One of Carlsberg’s business opportunities is the exponentially growing craft category. While the overall market for beer is shrinking, people crave new exciting products. Carlsberg are well poised to tap into a storytelling based on tradition and local heritage, something that is emblematic of most crafted products. Beer could become as much of a premium product as vintage wine has been historically. It’s all about finding the right partners, personalities and compelling stories – and the possibilities are endless. This has led us to a deep expertise in craft branding and new categories of alcoholic beverages, based on market research and interviews. STEREO performs qualitative research both in the field and behind the desk . Mapping and analysis enable us to produce accurate trend forecasts. , we quickly prototype concepts and work in close collaboration with our client to present a plethora of viable scenarios. Some day, we hope to be able to tell you more.
. The new community centres may include cafés, lecture rooms and kids areas – offering lending of books, film and music; workshops; lectures; and a place to relax. is scalable both in breadth (as new sub brands are developed) and expression (from corporate to specific offerings).
. Discovering new worlds has always been the reason for picking up a new book, but as a part of Just Books, people also get a platform for sharing and learning from each others discoveries. Working with typography in an Indian context is challenging but can also be extremely rewarding for brands, since it is a new way of working for many. For Benguluru restaurant chain THULP! Café Thulp! is an established brand in Bengaluru, with a visual identity inspired by American comics. 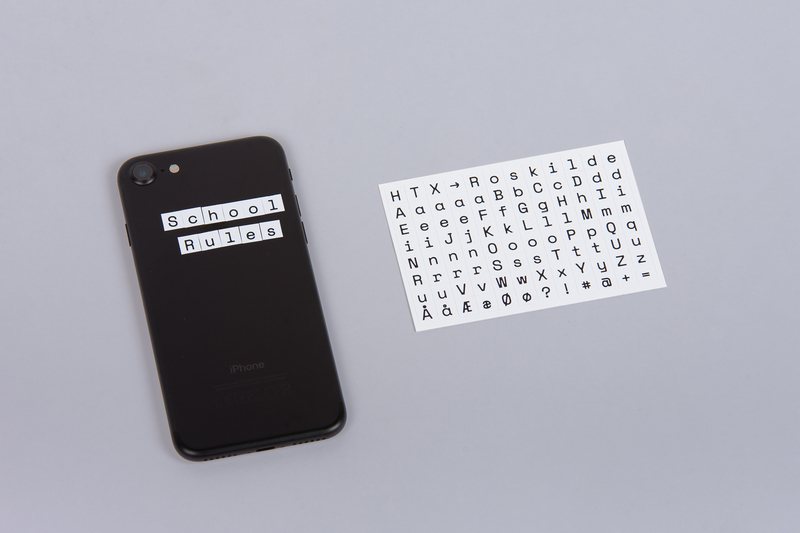 To make them look more street smart and appealing among the IT office workers milling about at lunch time, we paired the American fast food aesthetic with a more refined typographic expression. , which blends the factual with the absurd using blunt office humour (actually inspired by The Office series). STEREO did the naming and a mini identity for the new street stalls that will be opening soon. , uniforms and spatial. 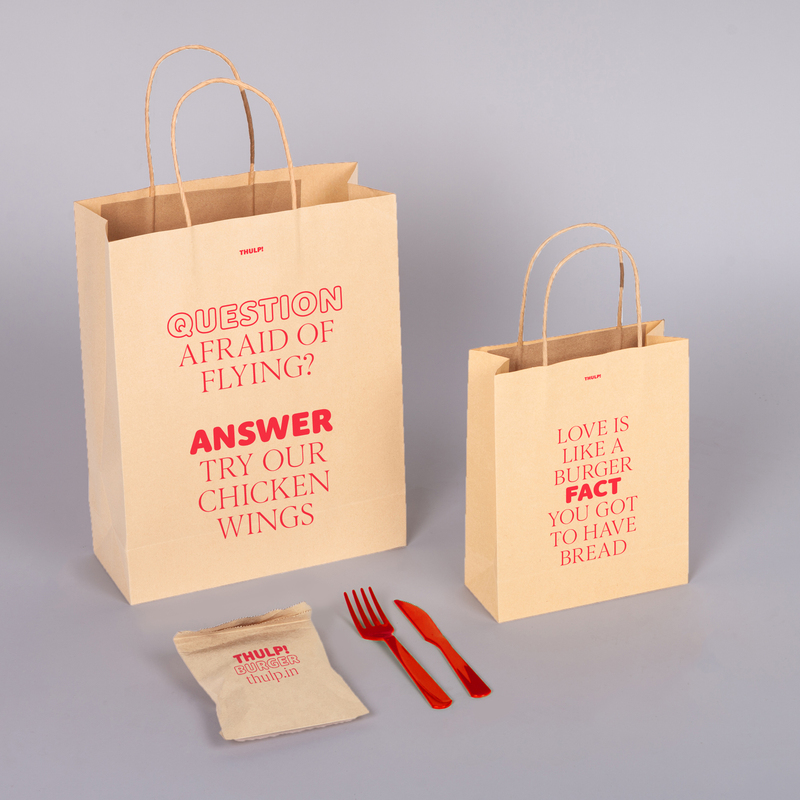 As such, this is a fine example of how we approach brand experience projects within neatly defined contexts. The result is a more international, friendly and accessible version of Thulp!, that takes the entire user journey into account.
. We have helped make the somewhat complex story about Triple Helix cooperation and social innovation relevant and attractive. In 2017, CORO are organising what will be an annual COconference for the first time, and STEREO are responsible for the name and visual expression of the event. The complete experience of a brand relies on the emotional appeal of crafted details and real content. Consistent execution across all touchpoints is a must for creating real impact. Without a holistic and integrated brand design, all the bold ideas in the world won’t help you. We deliver high-quality execution and craftsmanship that captures the user’s imagination and delivers on the promise of the brand. We have selected a few cases where strategy, communication and design come together for impact and engagement. to work with real problems in the real world. To honour this legacy and benefit from it, STEREO have created their recruitment campaigns and established a new position for them as ”The Real University”. , so emblematic of the Roskilde institution. Because RUC is all about working to solve real problems in the real world – as opposed to the abstraction of mathematics and traditional academics – you could say that RUC is the university of the real. What do you really want to do? to find out what problems out there in the world, they really wanted to solve. For each student, a small universe was created, including a portrait in a setting connected to their chosen problem as well still lifes of objects that symbolised it, according to themselves. was designed by us, and together with digital agency Kadaver a social media plan was set up to share the individual stories, in the students’ own words. The goal was to create a sympathetic relation between prospective students and these role models or ambassadors they could look up to. Rather than being perfect students, these people were just like you and me, facing more problems than they could solve. But that is the reality of RUC, and the only way to push innovation forward. The 2016 campaign photos were taken by Lasse Dearman. in India. They are one of the region’s top universities, with high aspirations both in India and abroad. However, their brand has been somewhat lacking. For STEREO it has been a fantastic opportunity to show the actual impact a complete brand overhaul can have on all kinds of stakeholders. With a new, common visual identity across all schools, a promise that really saturates the brand, a communication concept and new campaigns to draw the best talent – Crescent now leaves no one untouched. 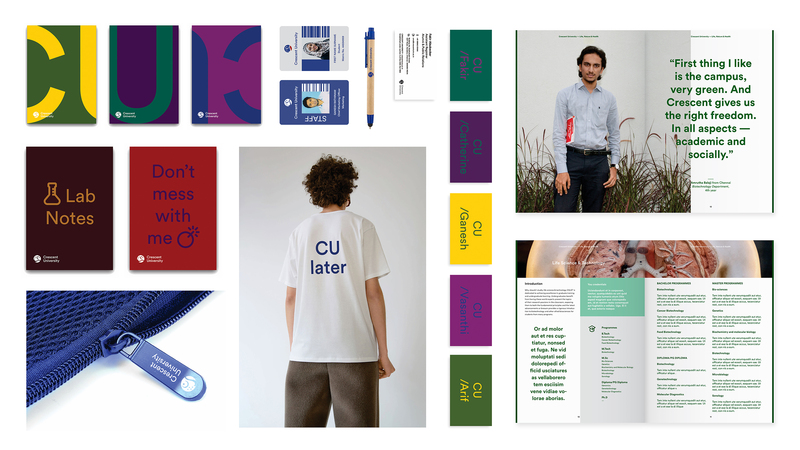 To match their highly contemporary approach to problem based teaching, the visual identity had to reach the same level of boldness and modernity that international competitors embody. STEREO were tasked with a complete rebranding of the university, that started with advising them on the name of the university itself. From there, the logo was redesigned and we introduced new colours and typography. 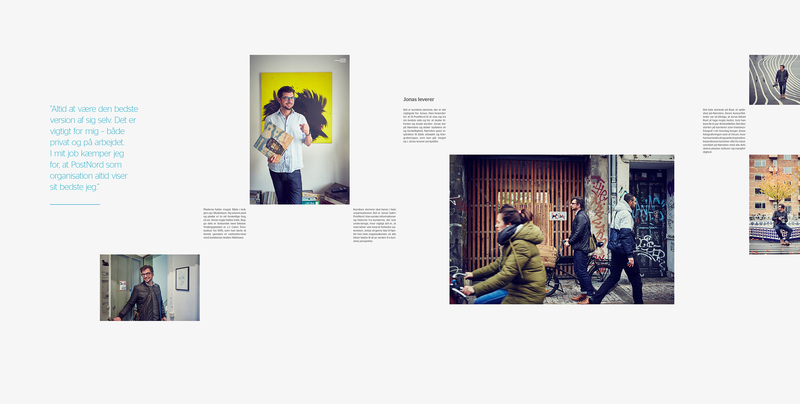 for their future image bank – together with photographer Claus Praeger-Jahnsen. These will be used on the new website, for which we have done the design, information architecture and user experience. as an active element in communication, we have created an engine that can encompass the full range of possibilities studying at Crescent offers. CU in business, CU in innovation, CU in court, CU in Chennai. Coupled with the new palette, the new corporate font and its matching icon set — Crescent have all the tools needed to create engaging content. Which is an ongoing project for STEREO, that has only just begun. We look forward to showing you more. want to attract tomorrow’s innovators, regardless of gender and ethnicity. By getting their own way of speaking and looking, they have taken their first step towards independence, just like any other teenager. Natural Sciences is not just about Newton and Pascal anymore – it’s about Julian Assange and Elon Musk. To help young people associate the burning platform of today’s challenges with school, we created a campaign based on big questions: How do we understand the threat of nation-sponsored hacking? How do we prevent travellers from ruining the environment? These are the type of questions students at HTX Roskilde are now asked. we have to create new solutions. , after a long association with the city’s technical college RTS. The new campaign identity builds on a simple and flexible system that can eventually be developed into a complete brand.